Discounted rate packages are available throughout the year. Call for current specials. 3 miles to Bromley, 3 miles to Manchester, 13 miles to Stratton within 1 hour from Okemo, Mt Snow & Killington. Nearby swimming, tennis, golf, hiking, fishing, antiquing, shopping, theatre. A Great Getaway! Our family has enjoyed this home for over 30 years. We enjoy all that Southern Vermont has to offer - from days spent exploring area attractions, to evenings gathered around the wood stove. We hope you enjoy our home as much as we do. Half bathroom is in room with queen bed. It has a toilet and sink. Manchester Vermont outlets, restaurants, other shops etc. Linens are not provided. Guests must provide sheets, pillow cases, towels, wash cloths, soap etc. Blankets and pillows are provided. 3 Bedrooms, Sleeps 8: *Bedroom 1 - 1 Queen, Powder Room *Bedroom 2 - 2 Twin/ Single *Bedroom 3 - 4 Twin/ Single, 2 sets of Bunk Beds. Bunk Room for the children that they will love! Low, safe deck. Great location - home is well maintained - very cozy. Cute and cozy little house. Great wood stove. All was as advertised, and we enjoyed our two-night stay. House was nice and warm even though it was subzero outside! Thank you so much for your kind review. We try to do our best to make our home away from home comfortable and clean. We try to always be on call for our tenants in case any issues or questions arise. Winhall chalet a good place to stay. We enjoyed our four day stay in chalet. Loved the view from the front deck. Loved the quiet road and the surround of trees. Beds were comfortable and everything was clean. Ray was most helpful always available when we needed information. I am glad that our tenants enjoyed the house and location.We work hard to keep the house comfortable and clean . The house was left in good condition . They are welcome to come back anytime. This cozy chalet was in the perfect location. Within 10 min drive to center of Manchester. 5 min drive to ranger station for great tips for hiking local trails. Also, 20 min drive to Mt Equinox. Loved the coziness of this house and wood burning stove. Foliage was gorgeous in the fall! Plenty to do and will sure to be back. Thank you for your generous review and for taking care of the house. You are welcome to rent anytime. Thank you for your kind review and for taking good care of the house. We work hard to keep our property in good condition so that our guests can be comfortable and enjoy all that Vermont has to offer. We have tenants that have been renting for 33 years. My family and I stayed there while I attended the Vermont Summer Festival. The house was clean, well appointed and in a cute area. Would absolutely recommend it to anyone looking for a nice get away. Thank you for your nice review and for taking care of the house. I hope you return in the future. My husband and I had a great time staying at the Cozy Cedar Chalet. It was very clean and had everything needed to make our stay enjoyable. We will definitely be back! Thank you for your generous review. We strive to keep our home clean and well maintained. My hobby is finding ways to make our guests comfortable so that they can enjoy the beautiful state of Vermont. 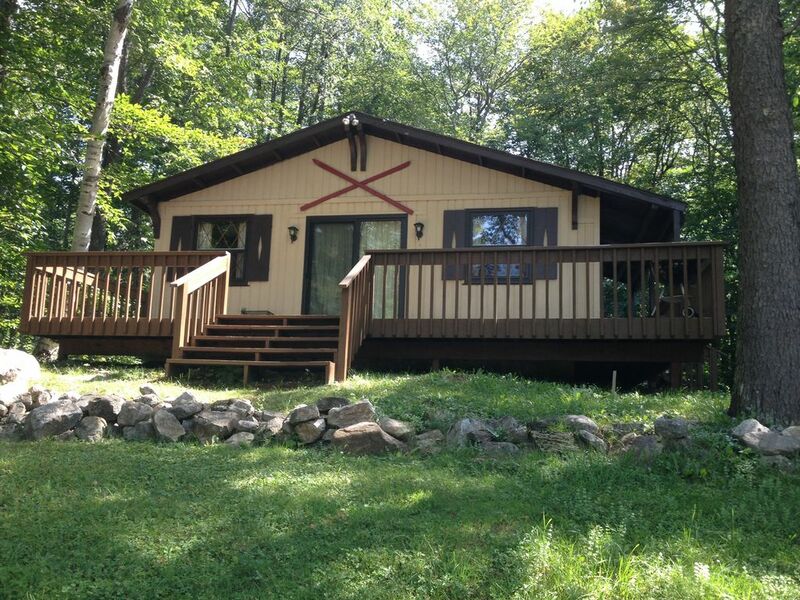 Our chalet is located 3 miles outside of Manchester, VT. It is 5 minutes from Bromley, 15 minutes from Stratton, 20 minutes from Magic, 40 minutes from Okemo, and about an hour from Killington and Mt. Snow. Other nearby attractions include snowshoeing, cross country skiing, hiking, fishing, antiquing, shopping, theatre, and fine dining. A Great Getaway ! Some rates are negotiable ! Call !